The Bank of Industry (Bol) and the Benue State government have launched a N2billion Micro Small and Medium Enterprises (MSMEs) development fund to boost the entrepreneurial potentials of citizens in the state. Under the financing model, both parties will contribute N1billion each for on lending to mainly businesses that have high employment generating potentials and value addition to local raw materials. Benue State Governor, Dr. Samuel Ortom expressed satisfaction over the initiative and commended the leadership of the bank under the acting Managing Director/Chief Executive, Mr. Waheed Olagunju for his foresight and remarkable strides since assuming office. He urged President Muhammadu Buhari to appoint the acting BoI boss as substantive MD, noting that having worked in the bank for over two decades, he is more than qualified to lead the develop finance institution. 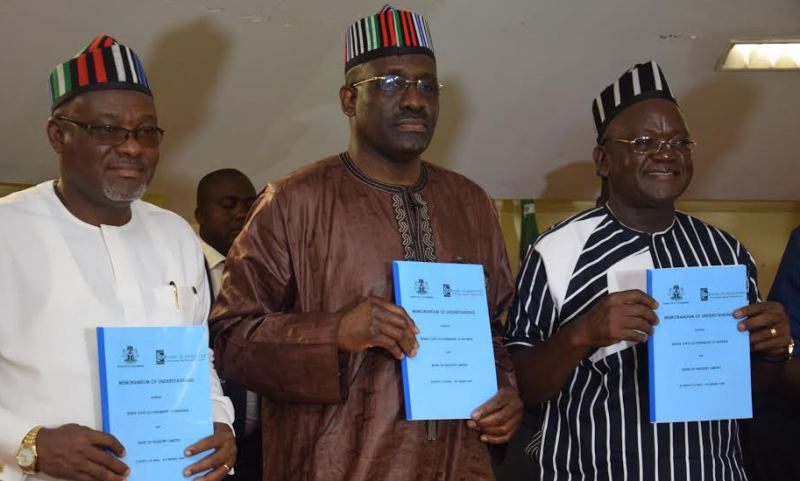 Nevertheless, Ortom appealed to entrepreneurs in the state to take advantage of the loan facilities, insisting that it would not be disbursed along party lines. He said only those who have viable business proposals in the areas where the state currently has a comparative advantage would be given the financing support. Meanwhile, Olagunju said the intention in the state brought the volume of MSME Funds being managed on behalf of 21 state governments to N18.3 billion. Four out of the 21 states that had enrolled in the scheme, joined in the last eight months when the MD took over the office. He added that the fund would help entrepreneurs in the state add values to their agricultural produce and boost employment generation potentials. He urged the governor to create industrial parks where beneficiaries of the loans would be able to leverage on infrastructure facilities to reduce operation cost.